August 13, today it is International Left-handers Day! 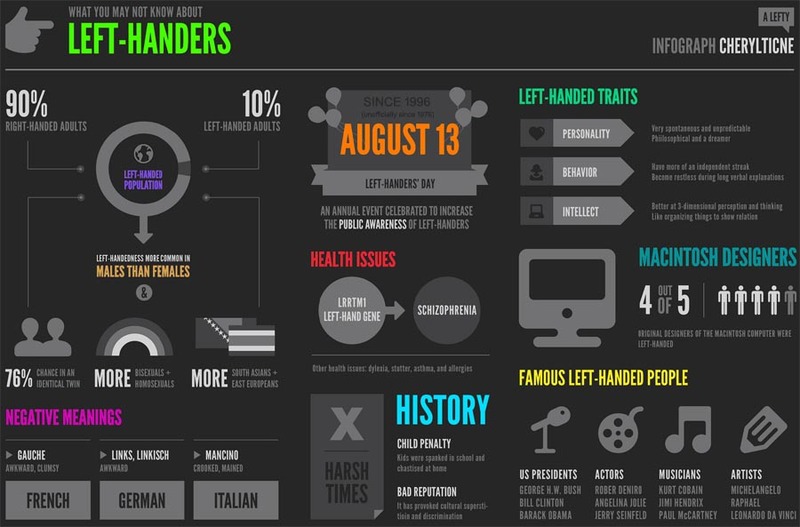 Left handers day has been observed on August 13 of each year by many lefthanders since 1976. However, Left-handers Day was declared by the Left-Hander's Day Club on August 13, 1996 in order to annually celebrate certain people's sinistrality and to raise awareness of the advantages and disadvantages of being left-handed. Left-handers Day is now celebrated world-wide! August 13, 2015: unofficially the 40th left handers day!